Had a day off today and I went exploring – headed for the hills and followed roads I’ve never been down. 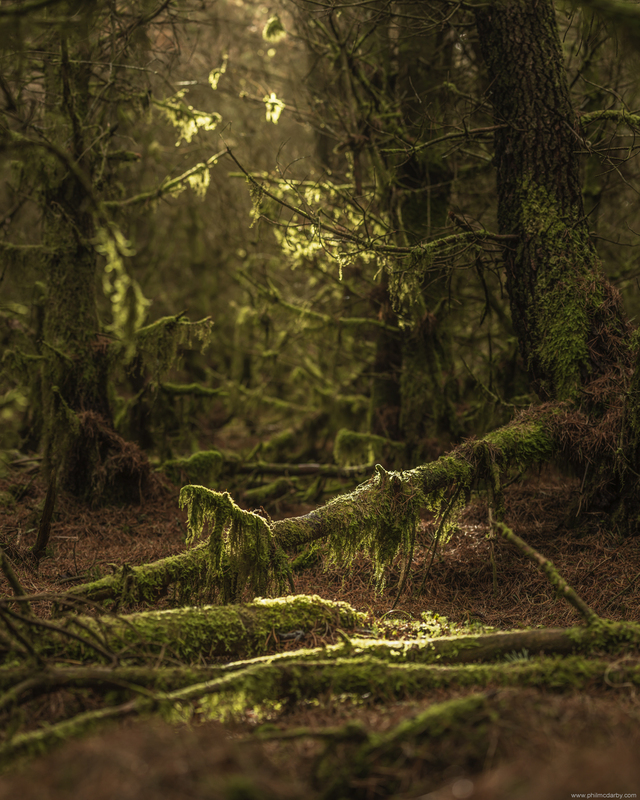 I found this forest – tangled and hung with moss, a mile or two from where I parked. It was a cloudy day but every now and again, the light broke through. It’s a beautiful thing to catch it like this, a fleeting moment that makes the waiting worthwhile. Can’t wait to visit this forest at dawn.